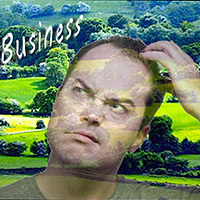 the Big World Blog: Do you want a business lifestyle or a lifestyle business? Do you want a business lifestyle or a lifestyle business? If you decide to give up the grind of the workaday life, what do you expect to do instead? Changing your job will change you in many ways so it's a good idea to take stock and examine what you want from your new found freedom! One way is to decide what you want from your work. Not only by examining what you do but by checking your work personality for traits that may help you achieve your aims more easily. The Business is successful to a point but will have little growth beyond a pre defined point. The owner doesn't want to expand further because it is too much work. This may be due to other commitments or just lack of interest. The Business is a means to supporting a defined lifestyle. The owner works for a limited time each day or week so as to pursue other interests. One example is typified by travellers who work to support their travels. You can just as easily right a report in a nice location as you can write the same report at your desk. The business is driven by the owners desire to express their skills and talents in a meaningful way. Creative arts and passions are supported by this model. The business is driven by material gains. Pre defined goals and targets are set with the aim of encouraging investment and further growth. Most large companies and corporations operate this model.